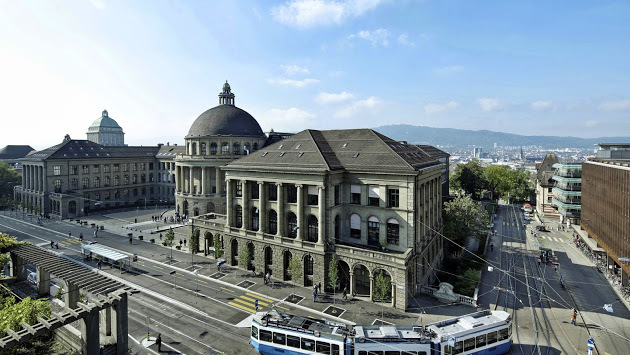 Applicants are invited to apply for a PhD scholarship in information systems at ETH Zurich. The funds for this fellowship are available for 2 years. This position is open until filled. The Bosch IoT Lab is a cooperation of Robert Bosch GmbH, University of St. Gallen (HSG) and ETH Zurich. The lab is part of one of the leading Internet of Things (IoT) research networks. We are exploring the IoT in domains such as Mobility, Industry, Energy and Health, from both a technology and a business perspective. Our work aims to be rigorous – with impact in the related scientific communities – and relevant for Bosch. The research in our group under supervision of Prof. Elgar Fleisch is driven by the strong desire to conquer the grand challenges of our society, such as in mobility, healthcare or sustainability. For this purpose, we draw upon recent advances in IoT, applied machine learning and statistical modeling in order to gain actionable insights. Different from a PhD in pure computer science, we tailor software and advanced analytics to the specific requirements of the application domain at hand. new position.From April/May 2019 on, we offer you a position in a unique research setup. You will work with a highly motivated, inter-disciplinary team of young researchers (computer science, healthcare, information systems) to develop an in-vehicle warning system for people with diabetes. You take direct project responsibility for system development as well as for vehicle data analysis. Good conditions and work environment complete this attractive package. The average duration for successfully obtaining a PhD in our team is 3 1/2 years. You should have a master’s degree in computer science, health or business informatics and profound expertise in software development as well as applied machine learning, preferable in the IoT domain. In addition, you should have a GPA (Grade Point Average) of at least 5.0 (GPA of 2.0 and better in Germany or Austria) to be eligible for this PhD. Finally, a profound knowledge of English and German (written and oral) is required.